Continuing my retrospective I started last week, we left off with me moving down to Southern California without a job to help my mother. We moved in with my mother in a two-bedroom condo, moving some of our stuff into our new room and putting the rest in storage. I remember I made a “deal” with God. I told him that if he got us down to Southern California, I would start attending Saddleback Church again. And though an amazing donation from my grandparents, that was possible. I made good on my promise. And our arrival really helped stabilize my mother…though she decided to move into her new apartment the day after we arrived in Orange County. So I actually moved two houses in three days. Some of mom’s friends helped…but I was always the second person for all the heavy lifting. Still, despite that, it was good for everyone involved. Shortly after arriving, I applied to Apple again, this time only to Mission and Irvine. I realized that South Coast Plaza was a bit farther than I wanted to commute. Laura looked for work on her own, eventually ending up at a Petco about 15-20 minutes away from our new home. Then a short time later, I got a phone call from Apple. They wanted me to come in for a group hiring event for Holiday of 2007. Only one strange thing…it was South Coast Plaza who had called me, not Mission or Irvine. Translation: They were responding to the application I had sent in six months earlier when I was still in Reno! During that group interview event, I even asked about transferring to Mission, which probably wasn’t smart. Now in all honesty, I didn’t even own a Mac. I had an iPod Shuffle and a Nano, both of which I had won in contests working for CompUSA. I barely had any Mac experience…though I do remember the Tiger launch…and how we had rented a full tiger fur suit and rolled around someone in that suit throughout the day and even did tiger face painting. What I knew was basic sales in the Mac department, but I knew computer sales. Despite that, my merchandising knowledge and retail experience was enough that they wanted me in for a part-time sales position. I remember jumping up and down and shouting in joy after getting off the phone with one of the managers, Rodney. Rodney, ironically, was the only manager at the store that played WoW…though sadly he played Horde. Nobody’s perfect. 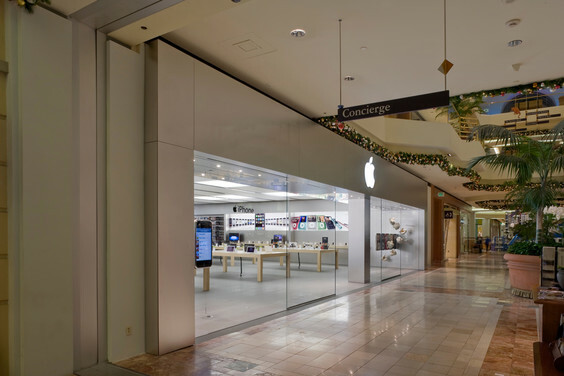 Two weeks after I started (My first day at Apple was the day after SCP opened after their remodel and 10.5 launched), I made a passing comment to a manager about an adjustment to the planogram while organizing the games on the software wall. That comment was enough to land me a full-time Back of House position. I remained there for something like six months. I wasn’t especially happy though, since in truth it was only a stocking position. I’m not the most physically fit of individuals and it was not exactly mentally engaging. My managers knew it too and though I tried to make a go of accepting the position, I failed. I remember my store manager, Rodney and the Visuals Manager (the manager I originally made the comment to) bringing me up, telling me they knew I wasn’t really happy, and offering me a change of pace: helping to run visuals in the store. That meant I was in charge of setting up the demo computers on the sales floor, executing the setup of new windows, maintenance of security systems and networks, among a dozen or so other random things. That was much more my speed. I came back to WoW shortly before the launch of Wrath of the Lich King. I remember fighting in those enormous battles in Stormwind Harbor and throughout Azeroth to gather the various items. I still have most of them on my main, who was renamed Makkus by this time. (I kept getting teased for the Dayshaun name since it sounded like the quissential Black Guy name for some reason). 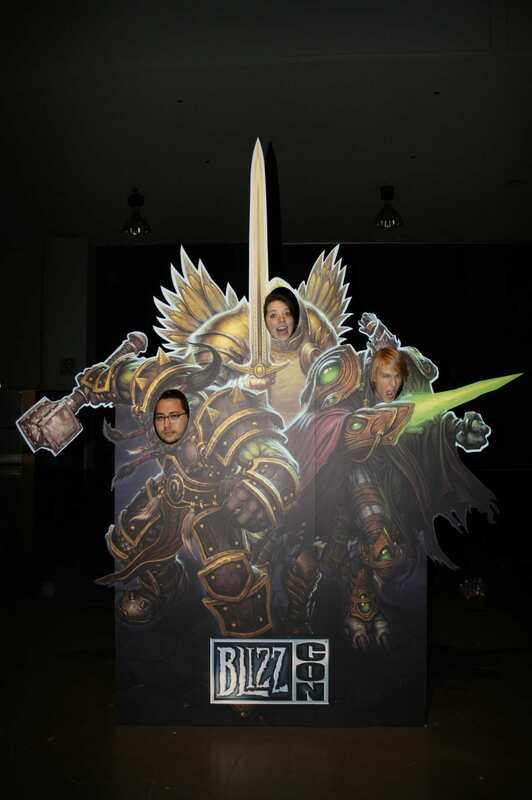 I attended the official Blizzard launch event at Fry’s in Anaheim on November 18, 2008. Stood in line with one of my friends from CompUSA, Johnny Linnert, who also attended Blizzcon 2008 with me. I remember standing in that snaking line for what felt like a lifetime (and thinking that there were way too many Horde around). And when I finally got all the signatures from the devs, well after midnight…Fry’s sales system crashed nationwide for two hours, trapping us there until something like 4 AM. The next day I went to the DMV and got my picture taken for my new license. Heh. I loved that picture because my hair was obviously barely combed. Good memories. I was thrilled to go to Blizzcon 2008. That was also the same year I went to my first Comic-Con. 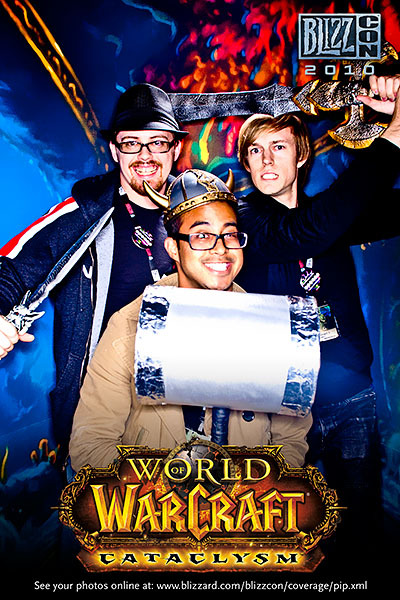 I had a ton of fun at Blizzcon, as we went with several friends from Apple who also played WoW. But the highlight was definitely seeing Video Games Live in concert again when Jack Wall was still the conductor (they were also at Comic-Con ’08). It was magical and beautiful…even if the sound was a little off. It was my first time doing anything like that. I got to play D3 in it’s beta stage…all the way to the rainbow end level where meteors crashed down until you died. And during July 2009, I decided to make my first attempt at working at Blizzard Entertainment with the position of Quest Designer for the WoW team. Sadly, I was form-letter rejected. So I went through Wrath enjoying the changes immensely. But something much more important happened in 2010: Laura and I became pregnant after our five-year anniversary cruise, a seven-day excursion to the Mexican Riviera. Now you might ask how in the world this has anything to do with me working for Blizzard now. Well, you might be surprised. I think it was during early summer or late spring, but we were going through Babies R Us in Foothill Ranch checking out something…I think making a registry. I was wearing my Blizzcon 2008 shirt and we ran into another couple. And the guy was wearing a Blizzcon 2009 shirt. We struck up a conversation with the couple, named Jason and Amanda, who were expecting a few weeks before Laura and I. I come to find out that Jason actually worked at Blizzard. Very cool. And after a fifteen or twenty minute conversation, we parted ways with a smile. But it didn’t stop there. When we went to Mission Hospital for the “tour” of their maternity services, guess who we ran into? Yup. Jason and Amanda again. Again we chatted a bit more. Found out that Jason worked Blizzard’s mobile app department. And since I used the Armory app, it was a good conversation topic. The final stroke was when we came into the La Maz class…and ran into them again. At this point, I just laughed and after the class, I said that we should just spend some time together and go get lunch. They agreed and we had a great time at the local Chili’s, talking about how they moved from Pennsylvania to here to work with Blizzard since several of his former coworkers landed positions inside Blizzard’s still somewhat new mobile department. And then I got to expand my knowledge of Blizzard with Starcraft II: Wings of Liberty. Jason was kind enough to offer me a copy for a discounted price. I was more than happy to take him up on the offer, though it took me forever to actually finish the game. I always spent way too much time in WoW. In fact, I didn’t actually finish it until probably eight months later. During this time, I prepared another application for Blizzard, this time for the position of Associate Technical Writer, but the position closed before I could get the application in. This was also the year where I tried my hand at the Blizzard Global Writing Contest with “At The End of All Things.” Ironically, it was the critique from a friend of mine that drove me to start doing a daily journal. It was a totally devastating critique and I was angry and very annoyed, because I hadn’t developed much of a thick skin at this point about my writing. The only way I could think of to deal with my emotions was to write them out. It turned out to be a very good thing…as I still keep it to this day. I’ve written close to 2 million words since that August. Despite concerns about the story, I submitted it anyway. Nothing happened with it, but it was a good learning experience for me. 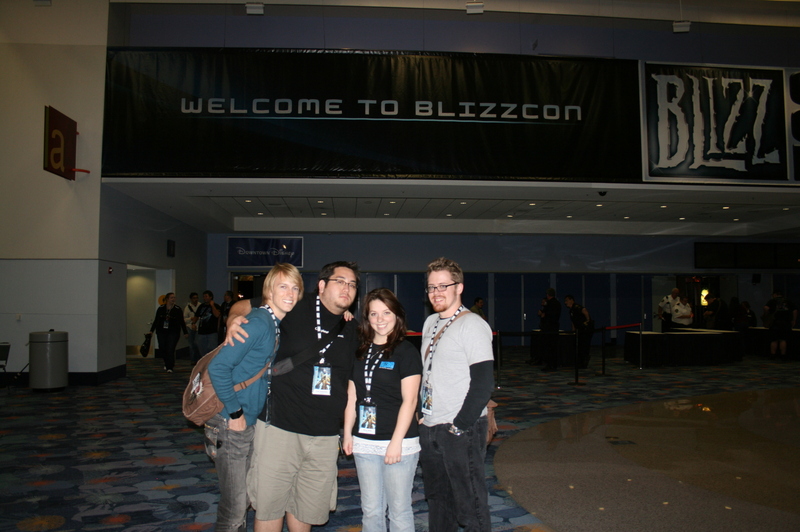 I even ran into Jason and Amanda at Blizzcon 2010, which I was attending with a few of my Apple friends again. I was sitting waiting for one of the panels and they just happened to walk up with Amanda quite pregnant at that point. So we get to getting together every so often. In fact, we had dinner together at a great Chinese restaurant called New Shanghai in Foothill Ranch and all had the mongolian beef, which everyone loved. However, apparently there was something in that mongolian beef, because when Laura and I woke up the next morning, I find a picture on my phone of Amanda and their new little boy, Malaki. Blizzcon 2010 was awesome, though I remember being vaguely annoyed that Blizzard had decided to release the Cataclysm trailer for a football game the previous Sunday instead of during Blizzcon. Oh well, their marketing team knows a hell of a lot more about that stuff than I do. But even better? I got to see Johnny Linnert again, who had since left Apple and moved to Japan. I really missed the guy. In fact, I ended up hanging with him and his friend Derek most of the time. But the biggest highlight for me was Day Two. I got to actually meet Christine Golden, who I knew long before she started writing WoW novels. I knew her from her work on the Voyager novels. She was rather impressed that I knew her that well. I managed to get her to sign my copy of “The Shattering” which ironically was used constantly when I did “Ashes over Stormwind.” I learned something great during my brief conversation with her. It was about writing. I told Christine that I knew her from her Star Trek work. Told me she’d done 39 novels in 20 years. MAJORLY IMPRESSIVE!!! I asked her about how many rejections she got at the beginning. She never sold her first novel, but a great story is that she’d been publishing and submitting some short stories. 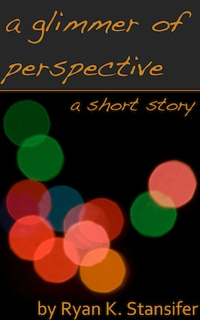 She’d submitted to a small horror magazine paying only a 1/4 cent a word. They wrote back on HER cover letter (didn’t even bother to have one of their own) telling her it was a waste of their time and her time. Wow! MEAN! Within a month, she had published her first novel AND…that magazine is no longer around today. HA! Take that! It was a great story and I thanked her. I was a lot calmer than I was with Peter David at Comic-Con 08. And no, I’m not talking about how much of an idiot I acted like when I met Peter David. Random story about Blizzcon. My guild at the time (Project Mayhem Inc) hadn’t been able to down the Lich King yet (we were fairly new into the raiding scene). And since they were playing the cinematic for the Lich King’s defeat on the screens above the play areas, I had to crank the music and stare at the screen so I wouldn’t get spoiled. I promised myself I wouldn’t let myself see the cut scene until I either defeated the Lich King or Cataclysm hit. We beat him a few weeks later. I let out a shout of triumph so loud that Laura was worried somebody might call the cops. I wrote up a good little part in my journal about this. This eve, the warlock Lyssina combined forces with nine other brave souls upon the peak of Icecrown Citadel. Comrades from Project Mayhem Inc and with new allies from across Azeroth stood at the Frozen Throne alongside Highlord Tirion Fordring. Together, they challenged the might of the fallen prince of Lorderon, Arthas the Lich King. For hours they struggled, fighting with every tool at their disposal. And they approached victory many times before the terrible might of the Lich King forced them to retreat. Then, halfway through the eighth hour of the evening, the calls of victory raised over Icecrown Citadel as the final blows upon the Lich King’s dark armor rained from all sides. In a final act of vengeance, Arthas slew the intruders with one might crash of the runeblade Frostmourne. Locked by the power of Arthas, fear trembled in their hearts as the Lich King began to channel the necromantic power of his blade. Fordring, encased in a block of enchanted ice at the beginning of the battle, beseeched the Light for one final boon and a chance to stop this atrocity. With an explosion of blinding white fire, the ice shattered and the paladin lord crashed down upon Arthas, the legendary blade Ashbringer shattering the runeblade Frostmourne. Free of Frostmourne’s hunger, the souls stolen by Arthas rose up to vanquish the fallen prince. Arthas, his weapon destroyed, was swept into a swirling maelstrom high above the Frozen Throne. His father, King Terenas, appeared as Fordring resurrected Lyssina and her allies. With one massive burst of sword and magic, they brought Arthas the Lich King to his end. And in the arms of the ghost of his father, Arthas, once a noble prince of Lordaeron, breathed his last. The heroes of the Alliance and the heroes of the world of Azeroth let loose their cries to let all know that they now proudly wore the title of “Kingslayer,” that none may question their dedication to the protection of all that is good and right. All hail Lyssina the Kingslayer and her allies! Kingslayer. I got it. I GOT KINGSLAYER! I prayed and prayed…and somehow I knew that I had really given it to God tonight. Laura helped pray for me in this. God gave it to me. I gave it to him and he gave it back to me. I saw the cutscene. EPIC. SO EPIC. So amazing to see Bolvar take up the Lich King’s crown, sacrificing himself to save all of Azeroth as Tirion watched. And…Lyssina was there. Celebrated with Laura and partied with the guild. I’m going to slow down, but I’ll still raid occasionally, probably on Tuesdays. But I want to make it clear that this won’t be a normal thing for me from now on. I have to focus on Laura, though it’s a bit of an excuse. We’ll see what happens. Anyway, Laura went to bed after we watched some shows and she showed me some baby clothes for the birth. I feel like I can concentrate on that now too. And now I’m doing some fun stuff with Lyssina in celebration of her achievement. You might think it’s funny to pray about beating a boss in WoW, but after MONTHS of beating my head against the wall, I was willing to do freaking anything for that damn achievement. 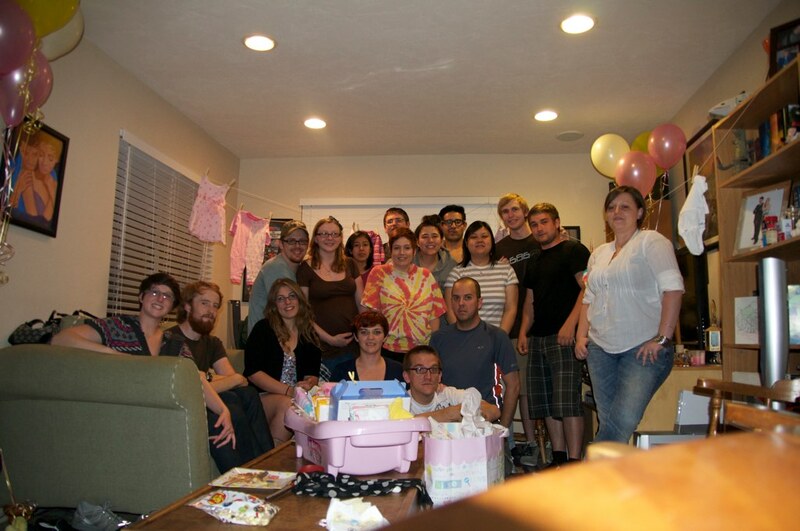 So Cataclysm launched on December 7, 2010 and our due date for our daughter Caitlyn was December 9. Because it was so close, I didn’t dare go to the launch event. Didn’t want to get stuck and not be able to get out. But I do remember that shortly before we headed to the hospital, we were playing our new little Worgens through Gilneas. Really enjoyed that. In fact, when we came home with Baby Caitlyn, one of the first things I did to unwind was to simply relax and play WoW for a bit, enjoying some of the newer content…though I avoided playing the new 80-85 section because I knew it would be insane. I remember several mornings where I would get up before Laura, bring Caitlyn in the little bassinet and put her right next to me while I played. That was a wonderful time. But I did enjoy it. I really did. However, it did change my playstyle. And when I came back in Cataclysm, I changed my main warlock character to the now-current Lyssinna and moved to an RP server called Wyrmrest Accord. I found a great new RP guild and joined up with them. However, they had a bad habit of trying to light me on fire by creating campfires on my head. In March 2011, I found that the Quest Designer position was up again. 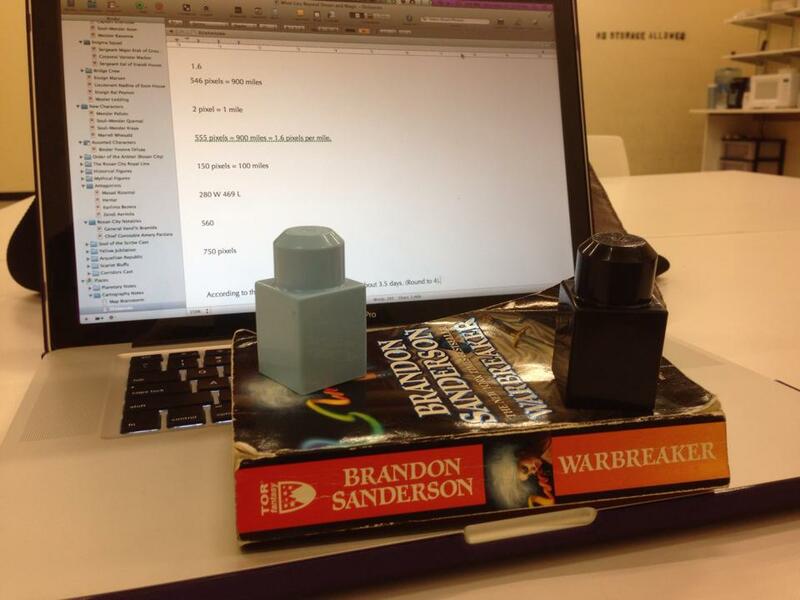 It was perfect for someone with my creative writing background, since I remember writing novels on a flash drive on computers in the early morning at CompUSA. So with the help of Jason, I applied once more. Sadly, rejected again. In August 2011, I applied again, this time for the position of Desktop Support Technician, trying to go in through the IT route. I was rejected for that position as well…though I was left in limbo for months until Jason actually inquired about it. However, in 2011 something else happened that changed everything for me. And it was getting Honorable Mention for “Ashes Over Stormwind.” That moment changed my life and the way I looked at my writing forever. But you’ll have to wait next time for that! Part III will be coming later this week!